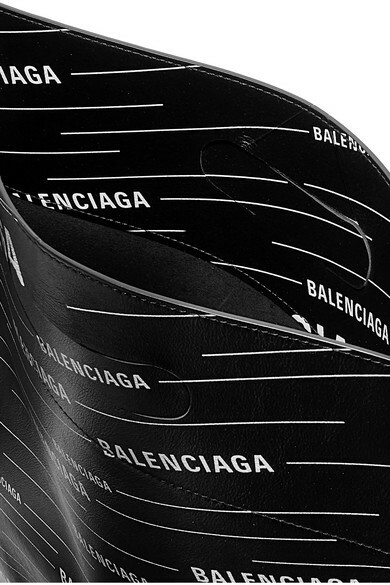 Balenciaga's Demna Gvasalia often looks to ordinary everyday objects for inspiration - this tote is based on the shape of a plastic shopping bag. 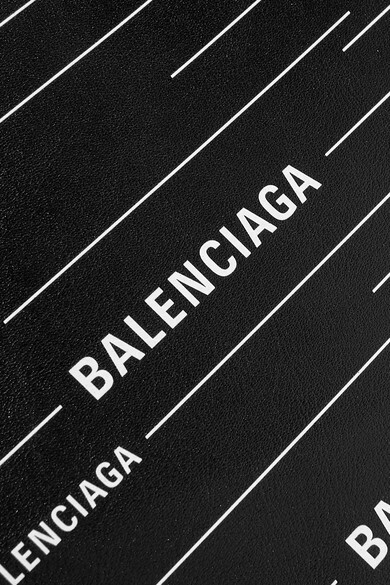 Made in Italy from supple textured-leather, it's printed with the label's logo throughout and opens to a spacious interior. 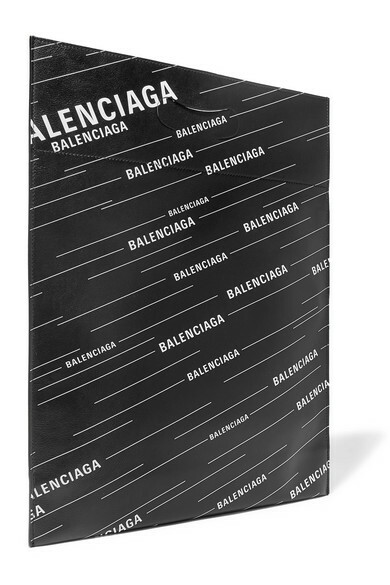 Hold it by the cutout handles or fold it to carry it as a clutch under your arm. 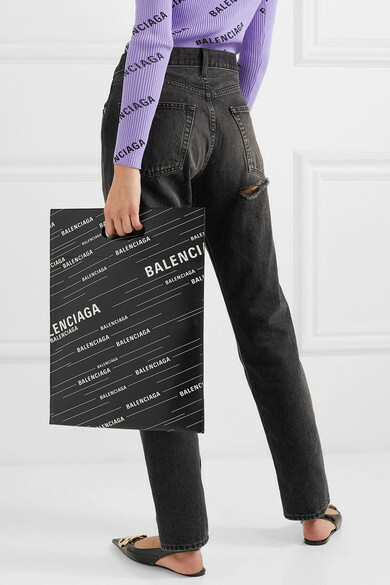 Shown here with: Balenciaga Jeans, Balenciaga Sweater, Balenciaga Flats, Balenciaga Earrings.